Feeling a little blah about your business? Hear my story of steering my work-at-home-mom business in a completely different direction, why that wasn't the solution at all, and the 9 signs to look for that show you might be feeling burned out in your own business. 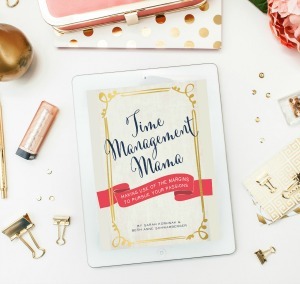 Plus, learn how to get the joy back in your business and make it feel fresh and fun again WITHOUT starting something brand new that takes up all of your time! Press Play on the Podcast Player Below to Hear my Story and get Encouragement for your Business! I got so burned out on the business I had created, that I nearly shifted the ENTIRE THING into this new line of products that I had somehow convinced myself was a perfect fit to what I was already doing in the business. That was a crazy thought! I’ll tell you more about the projects I ventured into in a little bit! 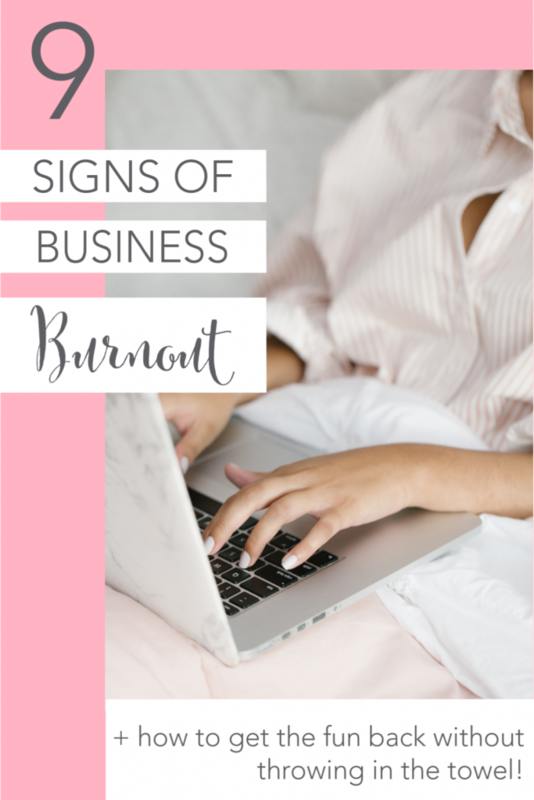 I want to tell you what I’ve learned about burnout, and how I’ve come out the other side with renewed joy for my business without feeling like I needed to tear the entire thing down and start over! So Much Change in 2018! The year of 2018 brought a lot of change for the Schwamberger family. My husband, Chris, left Marine Corps active duty and took a job as a commercial airline pilot. He spent a lot of 2017 and 2018 going through pilot training, taking trainings on how to interview and test well, writing resumes, submitting applications, and flying off to job interviews! 2018 was a year of big goals for him! Our family moved in the summer of 2018 from San Diego, California to Pittsburgh, Pennsylvania, which is where I grew up, and where my parents, siblings, and their kids all still live. I’m so glad we chose to move back “home” and thankfully, Chris’ airline job really allows us to live just about anywhere. After our cross-country move, it felt like it took the rest of the year to get Brilliant Business Moms back on track. In fact, I nearly went off the deep end, in terms of shifting the direction of my business and… it cost me a lot of time and money! The Crazy New Product Line I Almost Created! I started designing a new line of felt letter boards and handmade felt flowers that would attach to the boards to make them feel more fun and unique. I love letter boards for displaying products and prices at craft fairs, as home decor, to share funny or inspirational quotes, and to mark off special occasions. And… I saw a hole in the marketplace in terms of letter boards that went beyond just felt and letters. I wanted boards with a little more bling! So I started designing felt flowers and little bouquets that could be placed on the boards to make them look more special. My husband Chris and I came up with a jump ring/velcro combo system that worked really well to attach flowers to the boards, but there were lots of hurdles at every stretch. Since this little velcro attachment system was a brand new product, it just took a lot more back and forth and extra time compared to working with a manufacturer on a product that already exists and just needs to be tweaked for your needs. Just because you CAN do anything doesn’t mean you SHOULD! I’m really proud of some of the floral designs I came up with, but it took so much time to craft and tweak each design. All of my work time was going towards these felt flowers last fall, and I loved the creative aspect of designing and making them, but I got a little panicked as I thought about launching this new product line. I don’t do things half-way, friend! For good or for bad, it just doesn’t fit my personality. 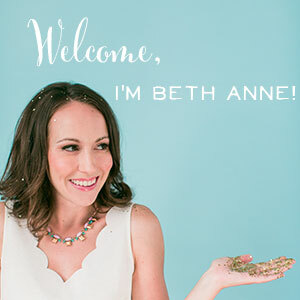 So with this new product line I had plans for a brand new blog, brand new social media accounts, and so many big plans. If I had given myself a full year to just focus on this new product line, I think I could have done it. But… I have this incredible audience of Brilliant Business Moms (that’s you!) and you deserve my time and attention! You waited an ENTIRE YEAR while this podcast was on a break and our family adjusted to big changes, and I have so many new business lessons to share with you and things I want to help you with! So, at the end of 2018, I decided that the felt product line wasn’t a good fit for any area of my life, including my family, business, or audience. It was time to call it quits and figure out how to rework Brilliant Business Moms to make it fun and fulfilling again. 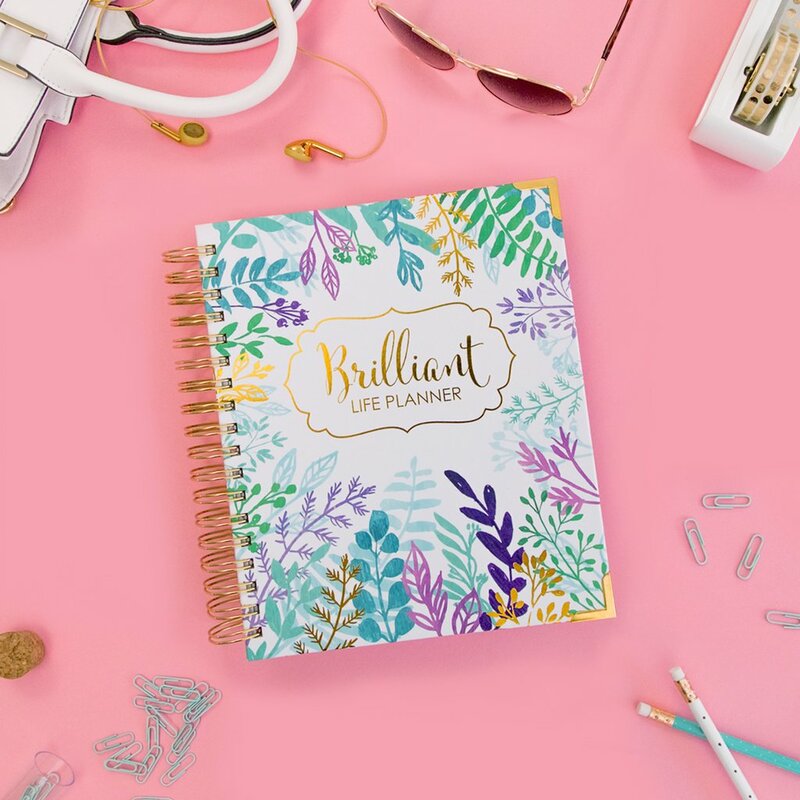 My Favorite Part of Brilliant Business Moms is YOU! I realized that my favorite part of Brilliant Business Moms was YOU, my podcast listeners, my students, my followers, my email subscribers (my people!) I enjoy getting to chat with you on social media, learn more about you, cheer you on, hear emails back from you, and give you tips for how you can keep growing your business. I love it when you're my students, and I get to show up and do coaching calls with you. 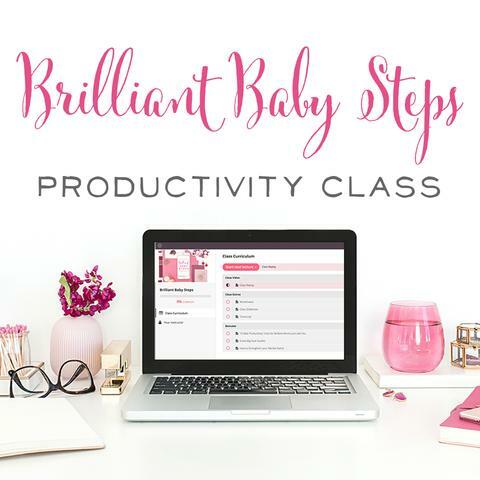 I knew there had to be a way to restructure my business so that I could keep connecting with brilliant Mamapreneurs without experiencing burnout. My friend, you are experiencing burnout! Don’t feel guilty about taking a step back and taking a break from those overwhelming situations. Your audience loves you, and they will show you so much grace when you’re ready to step back in! I can tell you from experience that the solution is probably NOT to go off the deep end (like I did!) where you chase a whole new business venture and start over from scratch. The solution most likely is to step away, take that much-needed break, and get that breathing room. Read lots of books, develop new hobbies, and then come back to your business with fresh eyes before spending a good amount of money and time on a new venture. My biggest regret from this season of life is that this new venture took time away from my Brilliant Business Moms audience and it took time away from my family. I absolutely believe you can do anything, but that's not the same as saying you should do anything. I don’t want to sound like a Debbie Downer here or stifle your creativity, but there are lots of ways to be creative in your current business without taking time, money, and energy away from what you’re doing. Friend, business growth is so much easier when you have ONE CORE AUDIENCE that you serve. You know exactly who those wonderful people are, what they care about, what their day-to-day life looks like, and you know how to show up, serve them, and bring them your best. Just because you can do something doesn't mean it's the best choice for you, for your family, for your business, or for the audience that you're currently serving. Every product you put out into the world takes so much time and care to develop, tweak, and market. So think carefully about all of those things before you dive into a new product. Take those breaks when you need them. Find creative outlets for yourself. Give yourself permission to have a life outside of your business! There is incredible freedom in focusing on what is important. One of the biggest temptations we entrepreneurs face is seeing every problem, every passion, every new interest as a new business opportunity. This is so dangerous, because we can get so tired chasing rabbit trails that we forget about what our main goal was in the first place! When we focus on our main business goals, we experience freedom outside of our business, too. We can have a life outside our business. Go to that happy place you love just for fun. Have no expectations tied to your new hobby. Have friends outside of the business space. Spend more time with your family. When we have so many products that need updating, tweaking, and improving, and perhaps different audiences and different social media channels, it just gets to be a lot of work! Unless we have a big team to manage all of this, it’s just too much for one brilliant Mamapreneur to handle. It’s not an indication of how smart, talented, or motivated you are, it’s just an indication that all the things we do in life take time! Focus allows me to be excellent at the things I’m doing instead of just skating by and being mediocre in 5 different areas. Coming up on the podcast in the next few weeks you’ll hear from several brilliant Mamapreneurs who are AMAZING at FOCUS! All three women have very focused product lines and niches. You’ll hear from a maker who designs adorable children’s coats, a single mom who supports her entire family with her SVG file business (cutting machine files! ), and a Mom who helps other women maintain their weight loss with a focused diet and recipe plan. These women have honed their businesses with their incredible focus! I can’t wait for you to hear how they do it! Where Did Your Social Media Courses Go? I used to offer courses on how to use Facebook Ads and Pinterest. They were big revenue drivers for me, but I decided to close the doors on those courses in early 2018 because I couldn’t keep them updated quickly enough. Head over to my Instagram stories to guess what my new focus is going to be! 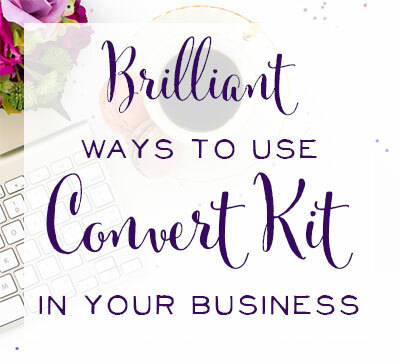 I’m so excited about this new focus, because it’ll help you to grow your business in a big way, still allows me to stay up-to-date on the latest marketing strategies, and it’s something I’m experienced at and will continue to do for the long-term! Speaking of that ever-so-popular social media platform, Instagram Stories has been my favorite way to connect with you all lately! I ask questions on my IG stories, you answer, and I repost your answers (when it makes sense!) for the rest of my followers to see and interact with! And I’ve been having so many great conversations in my DMs too. You all are the best! 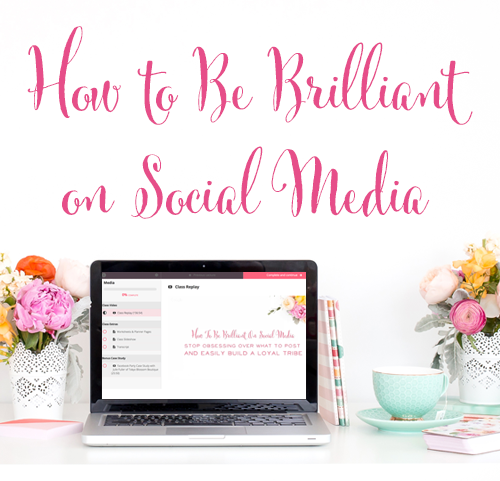 If you don’t currently watch my stories, head over to @brilliantbizmom and connect with the BBM community there. Hit the follow button and join us! How are you feeling about your business lately, friend? Are you a little uninspired or burned out? Give yourself permission to take a break! Get creative. Go have some fun! But also give yourself permission to not add new business ventures and tons of extra work to your plate! Enjoy the freedom of focus. You've got this, Brilliant Business Mama!